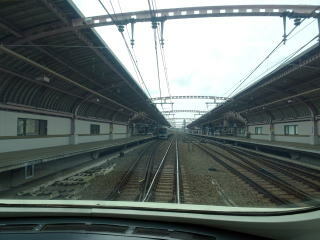 observed on the platform of Odakyu Shinjuku Terminal. 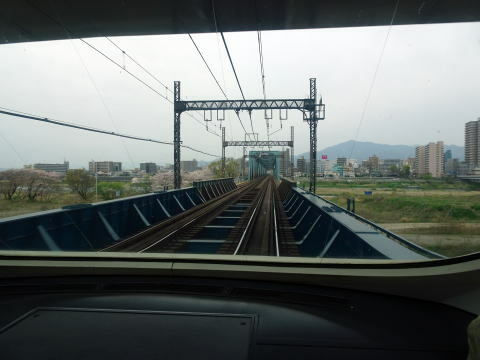 This photo was taken in April 2014.
of Tokyo, to mountain resorts such as Gotenba and Hakone, and beaches such as Numazu and Enoshima. 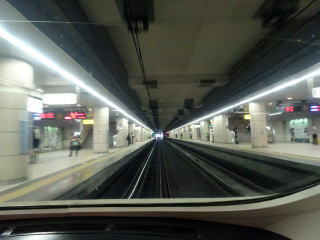 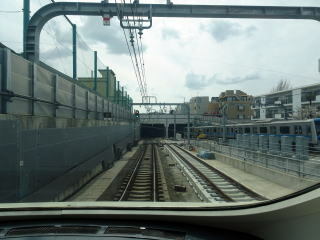 for a narrow-gauge train. 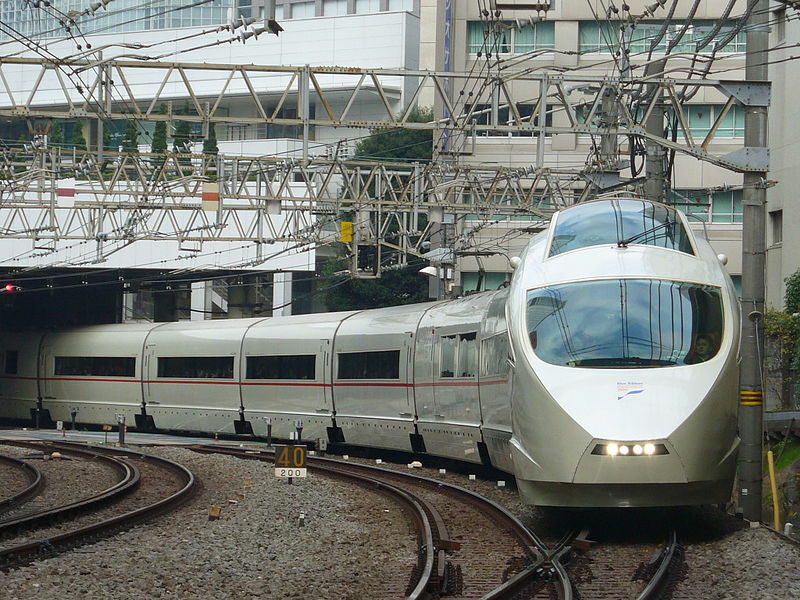 This record gave impetus for the design of the first Shinkansen, the zero series. 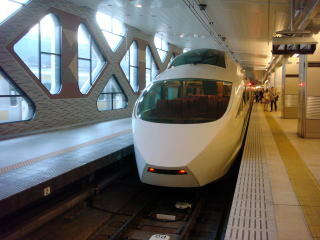 Some of the latest designs incorporate regenerative braking. 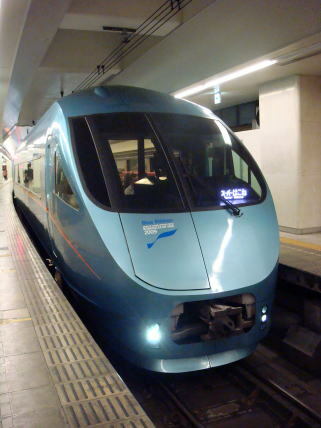 The 50000 series has regenerative brakes, and is equipped with air suspension, and tilts for passenger comfort. 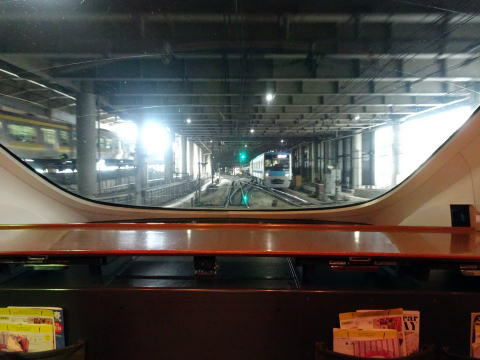 have the driver's cab located above the passenger saloon, giving passengers a view out of the front of the train. 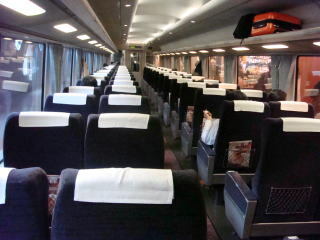 and some also have cabin attendants. They are boxy and metallic bronze in color. 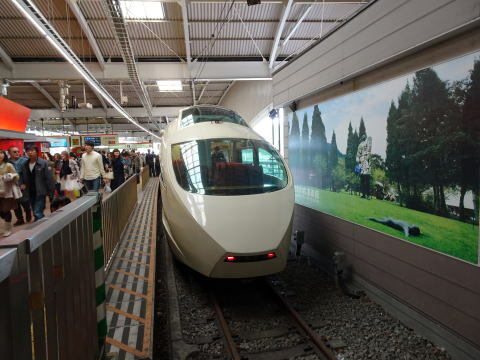 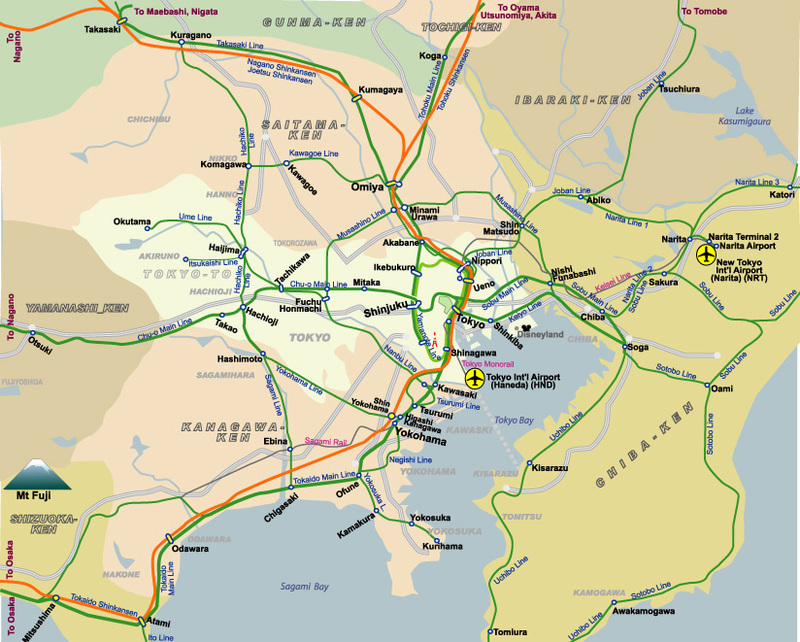 express train to be used on through services on the Tokyo Metro Chiyoda Line. 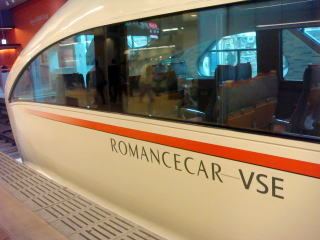 The VSE 50000 looks like the body of German's ICE train. 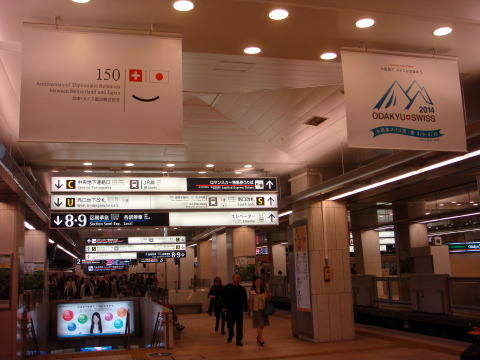 The type won a Japanese good design award in 2005, and a Blue-Ribbon Award in 2006. 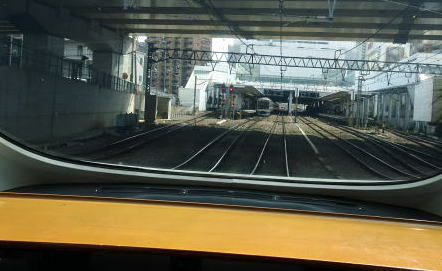 (L) The start of the limited express, VSE 50000 from Shinjuku Station (R) A train is traveling underground, near Higashi-Kitazawa. 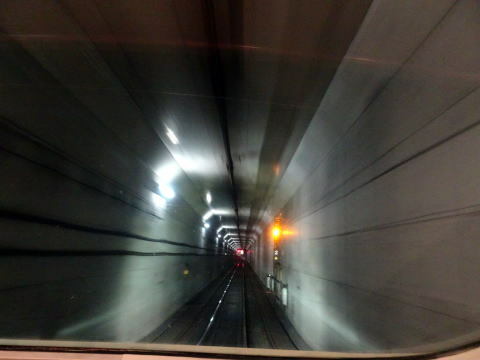 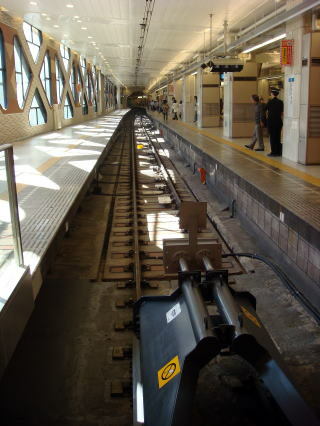 (L) A train is entering to the underground section of Higashikitazawa, (M) passing through the Umegaoka Station, (R) passing through the Seijyo-Gakuen Station. 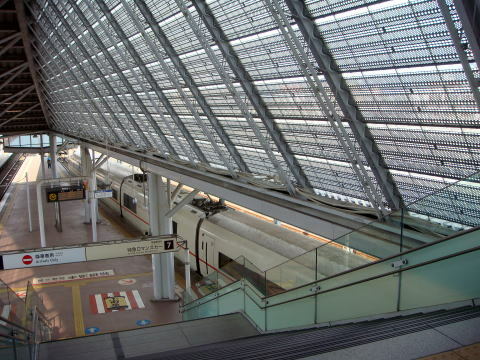 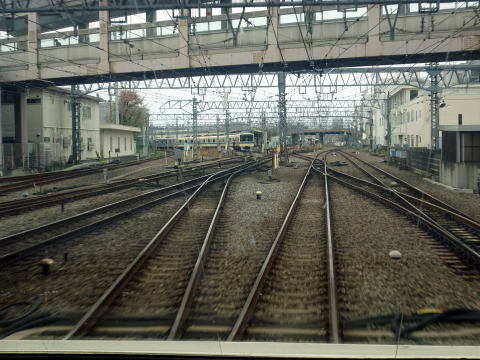 (R) This picture shows the Sagami-Ohno station and the Square shopping center. 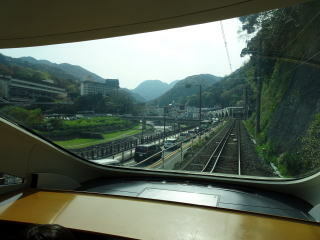 (L) A train is approaching to the Odawara station. 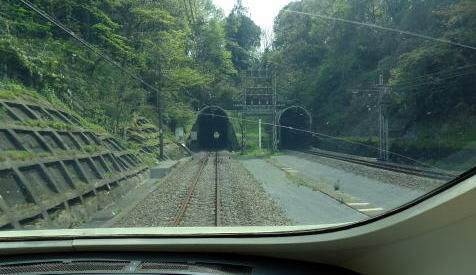 (M) A dual rail track takes place between Iriuda and Hakone-Yumoto stations. 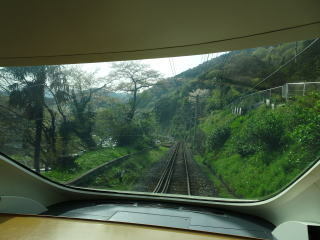 (R) A train is approaching to the Hakone-Yumoto area. 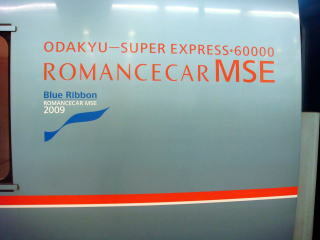 Odakyu Railway Company debuted new luxurious Romancecar on Hakone run.